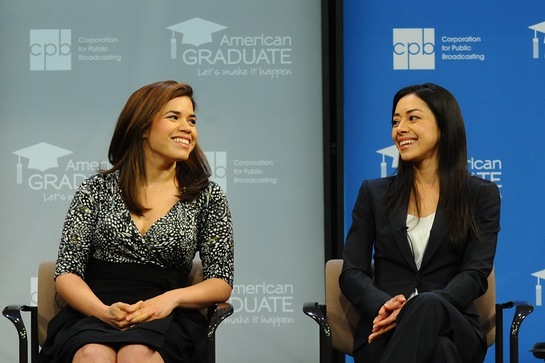 The Corporation for Public Broadcasting enlisted the support of Emmy-award winning actress America Ferrera of Ugly Betty on Tuesday in Washington, DC to launch its brand new education initiative, American Graduate, to help improve the nation’s high school graduation rates. America was joined by actress Aimee Garcia, one of Billboard’s top Latino Stars on the Rise and star of the new film GO FOR IT! Hill Harper also took part. The celebrity guests took part in a live discussion of Facebook on Tuesday, in partnership with America’s Promise Alliance and the Bill and Melinda Gates Foundation. 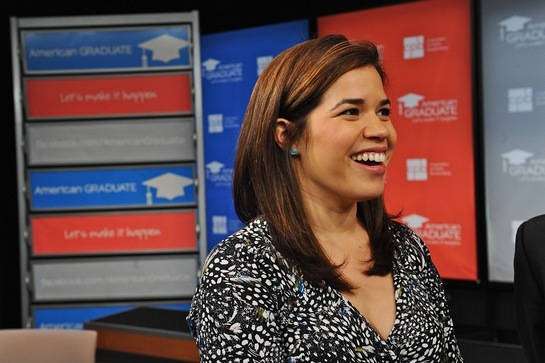 The American Graduate program will build on public broadcasting’s long-standing commitment to education by convening conversations and strengthening partnerships between public radio and television stations and local schools, businesses, and community organizations – all with the goal of helping students stay on course to graduate from high school.